Thousands of plant specimens from University of Lynchburg’s herbarium have gone online. 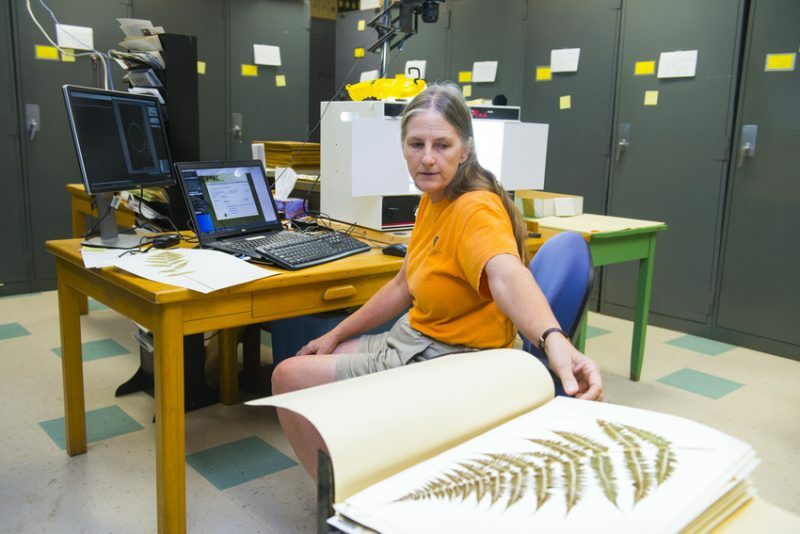 Dr. Nancy Cowden, biology professor, worked with paid student interns and Virginia Master Naturalists to digitize the Virginia specimens contained in the Ramsey-Freer Herbarium earlier this year. The Ramsey-Freer Herbarium contains nearly 60,000 botanical specimens, many of which are rare, threatened and/or endangered species. The specimens were collected — some more than 110 years ago — from the mountains and forests of Central Virginia. They were dried, pressed, mounted on paper, and categorized by families. Now located at the Claytor Nature Study Center, the Ramsey-Freer Herbarium is the second largest plant collection in Virginia, and the largest private college herbarium in Virginia. Digitizing the collection made it available to researchers around the world. The digitization project was funded by the National Science Foundation and administered through George Mason University. “It opens up a wealth of information that would be hard to access otherwise,” intern Luke Turner ’17 said in a News & Advance story about the project. The story ran on August 9. 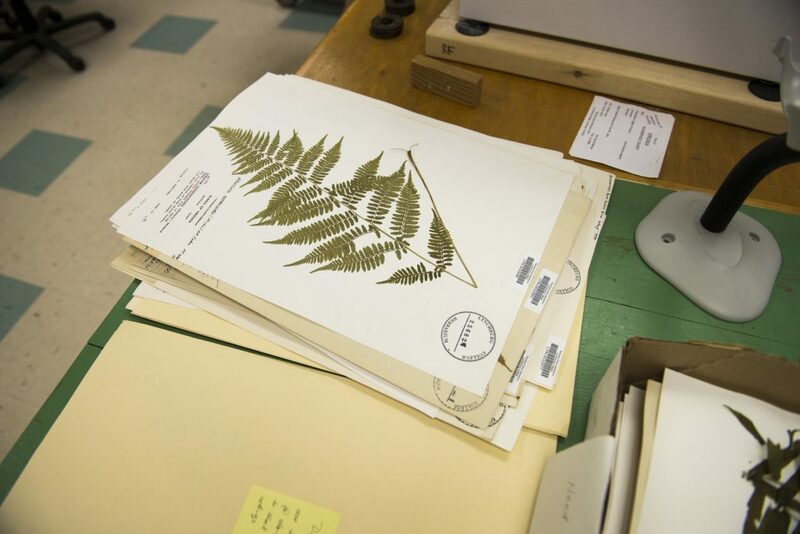 Established in 1927, the herbarium is the College’s largest and oldest continually operating research project.